Internap Network Services Corporation (Georgia, Atlanta) is the location of the Apache/2 server. 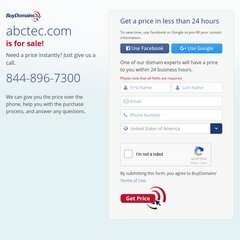 Abctec.com's server IP number is 64.95.64.195. It has 2 DNS records, this-domain-for-sale.com, and ns.buydomains.com. A time of 34.0 ms, is recorded in a ping test.